Quickly And Easily Repairs A Flat Tire Without Jacking Up The Vehicle Or Removing The Tire. 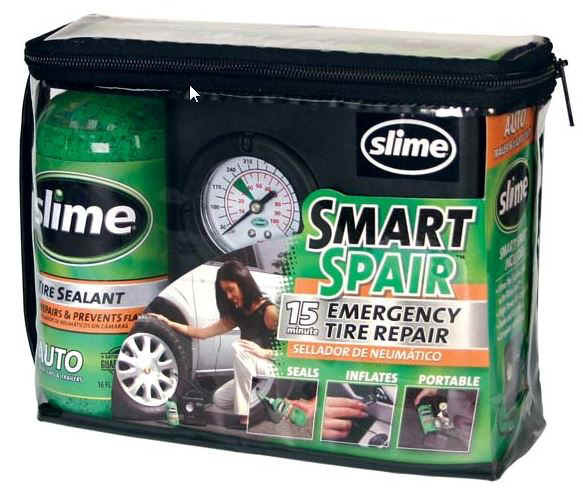 Simply Inject Slime Sealant Into The Tire, Plug In The Portable Air Compressor And Reinflate The Tire. Gets You Back On The Road In Minutes. Kit Includes 300 Psi 12V Compressor, 16 Oz. Slime Sealant, Valve Core Removal Tool And Precut Tip In Convenient Storage Bag.